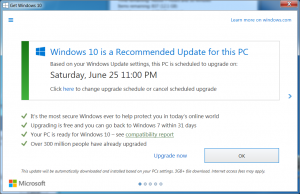 URGENT: Windows 10 trying to install – please read/share! 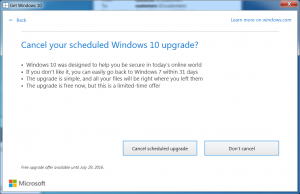 JPC are enjoying using Windows 10. Sadly, this has not been the same for everyone that contacts us! 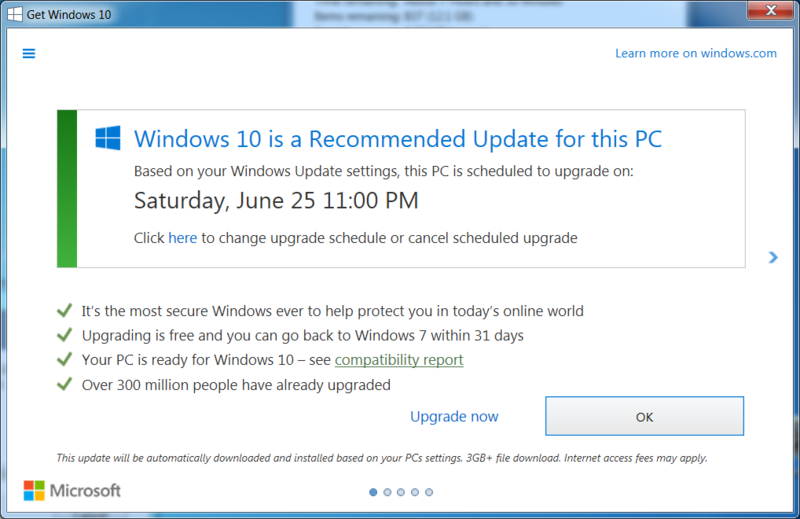 Microsoft are very keen that people install Windows 10 by the end of July, the pop up messages have changed, so PLEASE read carefully or you WILL install Windows 10 even if you didn’t intend to! 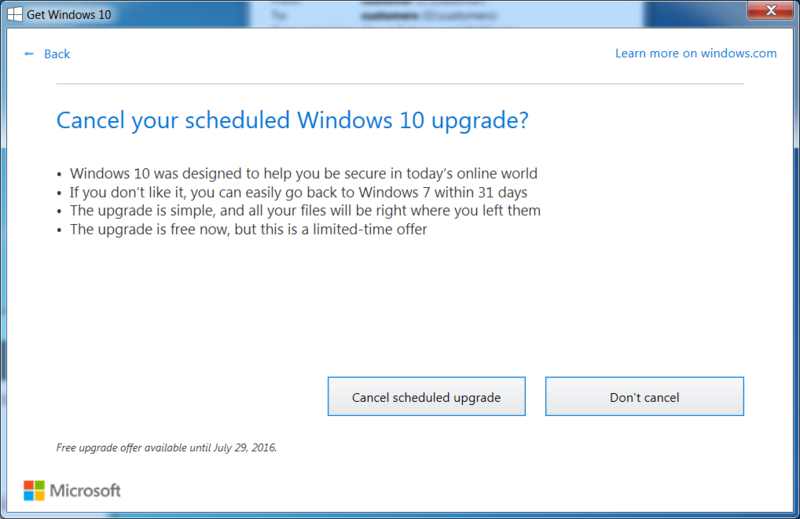 Many people are clicking OK which actually installs Windows 10! 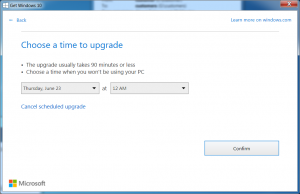 If you do not wish to install Windows 10, click where it says “Click here to change upgrade schedule or cancel scheduled upgrade” to cancel the installation. 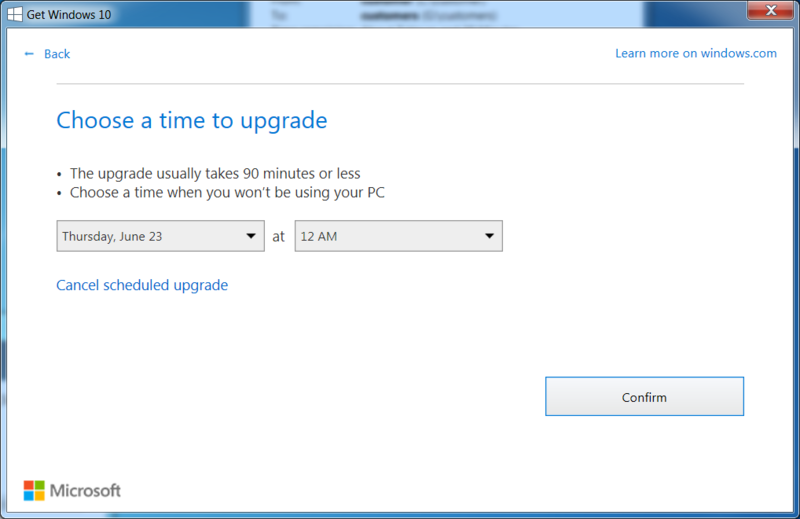 Click “Cancel Scheduled Upgrade” and you will remain with your existing version of Windows 7/8.1.